Ellinor is a Senior Lecturer in Maternal and Child Health and joined City University in the spring of 2013. Ellinor did her undergraduate degree in Psychology in Australia, before she moved to England to do her MSc and PhD in the area of physical activity behaviour change. After her PhD she took up a post as a Research Fellow at Coventry University where she managed several projects concerning physical activity and maternal and childhood obesity. 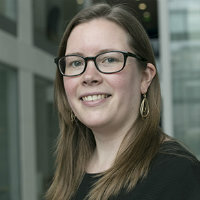 Specifically, Ellinor led several evaluations of weight management services offered by the NHS to individuals with obesity and project managed a large systematic review and meta-analysis examining what behaviour change techniques are associated with a change in adults with obesity's physical activity behaviour. Ellinor co-leads the Collaborating in Pregnancy and Early Years (COPE) project with Prof Ros Bryar (https://blogs.city.ac.uk/cope/) and is the Centre lead for Patient and Public Involvement. Ellinor runs the Patient and Public Involvement group for the Centre for Maternal and Child Health Research (https://blogs.city.ac.uk/surf/). She regularly reviews grant applications for numerous grant bodies and manuscripts for several journals. Enhancement of Student Experience Award, School of Health Sciences, City University London, 2015 Best student poster presentation at the British Psychological Society's Division of Sport & Exercise Psychology Inaugural Conference, December 2008. Ellinor's research focuses on obesity related issues such as why obese individuals decline weight management services and how to develop evidence-based, feasible and acceptable services for obese pregnant women. Future work will establish what behaviour change techniques are associated with a maintenance or increase in physical activity in pregnant women and also how this links to mental health during pregnancy. - Olander, E.K., Atkinson, L. & French, D.P. Initial evaluation of NHS Warwickshire's maternal obesity care pathway. NHS Warwickshire (Aug 2012 - June 2013) £10,705. - Olander, E.K., Atkinson, L, & French, D.P. Evaluation of Coventry's Weight Management in Pregnancy Programme - Just4Mums. NHS Coventry (Nov 2011 - Oct 2013) £9,084. - Bartle, N., Atkinson, L. & Olander, E.K. An evidence review for research and/or effective service provision for overweight or obese children focusing on early years. NHS Dudley (Aug 2012 - Dec 2012) £4,728. - Atkinson, L., Olander, E.K. & French, D.P. Insight work into the National Child Measurement Programme (NCMP) and associated weight management services. NHS Dudley (Feb 2012 - Dec 2012) £10,184. - Smith, D. & Olander, E.K. 'Weight is the new challenge': how can health psychology help professionals who provide maternity care to support women to have a healthy weight and lifestyle in pregnancy? Research seminar grant from Division of Health Psychology (October 2012) £1000. - French, D.P., Olander, E.K. & Turner, A. Building an evidence base for skills development training for cancer clinicians to support lifestyle behaviour change and self-management with cancer survivors. Macmillan Cancer Support (June 2011-Nov 2011) £20,071. - Atkinson, L, Olander, E.K. & French, D.P. Qualitative evaluation of the maternal and early years healthy weight service. NHS West Midlands Strategic Health Authority (Feb 2010-Jun 2010). £33,141. Ayers, S., Thiel, M. and Olander, E.K. (2015). A systematic review of computer- and internet-based psychotherapy interventions for perinatal mental health. Olander, E.K., Berg, F., Berg, M. and Dencker, A. (2019). Offering weight management support to pregnant women with high body mass index: A qualitative study with midwives. Sexual & Reproductive Healthcare, 20, pp. 81–86. doi:10.1016/j.srhc.2019.04.001 . Olander, E.K., Aquino, M.R.J.R., Chhoa, C., Harris, E., Lee, S. and Bryar, R.M. (2019). Women's views of continuity of information provided during and after pregnancy: A qualitative interview study. Health & Social Care in the Community. doi:10.1111/hsc.12764 . Aquino, M.R.J.V., Olander, E.K. and Bryar, R.M. (2018). A focus group study of women's views and experiences of maternity care as delivered collaboratively by midwives and health visitors in England. BMC Pregnancy and Childbirth, 18(1). doi:10.1186/s12884-018-2127-0 . Brook, J., Rayment, J., Bryar, R.M. and Olander, E. (2018). Midwifery students' experiences in a health visiting placement: An interview study. Journal of Health Visiting, 6(11), pp. 552–559. doi:10.12968/johv.2018.6.11.552 . Olander, E.K., Rayment, J., Bryar, R. and Brook, J. (2018). Midwifery students in health visitor placements: the importance of student-mentor relationships. Midwifery, 62, pp. 49–51. doi:10.1016/j.midw.2018.03.014 . Ashford, M.T., Olander, E.K., Rowe, H., Fisher, J.R.W. and Ayers, S. (2018). Feasibility and acceptability of a web-based treatment with telephone support for postpartum women with anxiety: Randomized controlled trial. Journal of Medical Internet Research, 20(4). doi:10.2196/mental.9106 . Teychenne, M., van der Pligt, P., Abbott, G., Brennan, L. and Olander, E.K. (2018). Feasibility and acceptability of a home-based physical activity program for postnatal women with depressive symptoms: A pilot study. Mental Health and Physical Activity, 14, pp. 82–89. doi:10.1016/j.mhpa.2018.02.007 . Olander, E.K., Smith, D.M. and Darwin, Z. (2018). Health behaviour and pregnancy: a time for change. Journal of Reproductive and Infant Psychology, 36(1), pp. 1–3. doi:10.1080/02646838.2018.1408965 . Ashford, M.T., Ayers, S. and Olander, E.K. (2017). Interest in web-based treatments for postpartum anxiety: an exploratory survey. Journal of Reproductive and Infant Psychology, 35(4), pp. 394–409. doi:10.1080/02646838.2017.1320364 . Atkinson, L., French, D.P., Ménage, D. and Olander, E.K. (2017). Midwives' experiences of referring obese women to either a community or home-based antenatal weight management service: Implications for service providers and midwifery practice. Midwifery, 49, pp. 102–109. doi:10.1016/j.midw.2016.10.006 . Hillier, S.E. and Olander, E.K. (2017). Women's dietary changes before and during pregnancy: A systematic review. Midwifery, 49, pp. 19–31. doi:10.1016/j.midw.2017.01.014 . Ashford, M.T., Olander, E.K., Rowe, H., Fisher, J.R.W. and Ayers, S. (2017). Internet-based interventions for postpartum anxiety: exploring health visitors’ views. Journal of Reproductive and Infant Psychology, 35(3), pp. 298–308. doi:10.1080/02646838.2017.1313966 . Ashford, M.T., Ayers, S. and Olander, E.K. (2017). Supporting women with postpartum anxiety: exploring views and experiences of specialist community public health nurses in the UK. Health and Social Care in the Community, 25(3), pp. 1257–1264. doi:10.1111/hsc.12428 . Soltani, H., Smith, D. and Olander, E. (2017). Weight, Lifestyle, and Health during Pregnancy and beyond. Journal of Pregnancy, 2017. doi:10.1155/2017/4981283 . Aquino, M.R.J.V., Olander, E.K., Needle, J.J. and Bryar, R.M. (2016). Midwives’ and health visitors’ collaborative relationships: A systematic review of qualitative and quantitative studies. International Journal of Nursing Studies, 62, pp. 193–206. doi:10.1016/j.ijnurstu.2016.08.002 . Dencker, A., Premberg, Å., Olander, E.K., McCourt, C., Haby, K., Dencker, S. … Berg, M. (2016). Adopting a healthy lifestyle when pregnant and obese - an interview study three years after childbirth. BMC Pregnancy and Childbirth, 16(1). doi:10.1186/s12884-016-0969-x . Chastin, S.F.M., De Craemer, M., Lien, N., Bernaards, C., Buck, C., Oppert, J.M. … Wong, S. (2016). The SOS-framework (Systems of Sedentary behaviours): An international transdisciplinary consensus framework for the study of determinants, research priorities and policy on sedentary behaviour across the life course: A DEDIPAC-study. International Journal of Behavioral Nutrition and Physical Activity, 13(1). doi:10.1186/s12966-016-0409-3 . Olander, E.K. and Scamell, M. (2016). Teaching students about maternal obesity without creating obesity stigma. Nurse Education Today, 42, pp. 59–61. doi:10.1016/j.nedt.2016.04.009 . Newham, J.J., Roberts, H., Aquino, M.R.J. and Olander, E.K. (2016). Supporting early family life: the importance of public health programmes. Journal of Reproductive and Infant Psychology, 34(3), pp. 221–223. doi:10.1080/02646838.2016.1182812 . Scamell, M. and Olander, E. (2016). Teaching about obesity: Caring, compassion, communication and courage in midwifery education. British Journal of Midwifery, 24(7), pp. 494–499. doi:10.12968/bjom.2016.24.7.494 . Olander, E.K., Darwin, Z.J., Atkinson, L., Smith, D.M. and Gardner, B. (2016). Beyond the 'teachable moment' - A conceptual analysis of women's perinatal behaviour change. Women and Birth, 29(3). doi:10.1016/j.wombi.2015.11.005 . Ashford, M.T., Olander, E.K. and Ayers, S. (2016). Computer- or web-based interventions for perinatal mental health: A systematic review. Journal of Affective Disorders, 197, pp. 134–146. doi:10.1016/j.jad.2016.02.057 . Ashford, M.T., Olander, E.K. and Ayers, S. (2016). Finding Web-Based Anxiety Interventions on the World Wide Web: A Scoping Review. JMIR Mental Health, 3(2). doi:10.2196/mental.5349 . van der Pligt, P., Olander, E.K., Ball, K., Crawford, D., Hesketh, K.D., Teychenne, M. … Campbell, K. (2016). Maternal dietary intake and physical activity habits during the postpartum period: Associations with clinician advice in a sample of Australian first time mothers. BMC Pregnancy and Childbirth, 16(1). doi:10.1186/s12884-016-0812-4 . Atkinson, L., Olander, E.K. and French, D.P. (2016). Acceptability of a Weight Management Intervention for Pregnant and Postpartum Women with BMI ≥30 kg/m2: A Qualitative Evaluation of an Individualized, Home-Based Service. Maternal and Child Health Journal, 20(1), pp. 88–96. doi:10.1007/s10995-015-1806-y . Olander, E.K. (2015). Weight management in pregnancy. Nursing in Practice, (September/October), pp. 19–24. Sharry, J.M., Olander, E.K. and French, D.P. (2015). Do single and multiple behavior change interventions contain different behavior change techniques? : A comparison of interventions targeting physical activity in obese populations. Health Psychology, 34(9), pp. 960–965. doi:10.1037/hea0000185 . Olander, E.K., Berg, M., McCourt, C., Carlström, E. and Dencker, A. (2015). Person-centred care in interventions to limit weight gain in pregnant women with obesity - a systematic review. BMC pregnancy and childbirth, 15, p. 50. doi:10.1186/s12884-015-0463-x . Marchi, J., Berg, M., Dencker, A., Olander, E.K. and Begley, C. (2015). Risks associated with obesity in pregnancy, for the mother and baby: A systematic review of reviews. Obesity Reviews, 16(8), pp. 621–638. doi:10.1111/obr.12288 . French, D., Olander, E.K., Chisholm, A. and McSharry, J. (2014). Which Behaviour Change Techniques Are Most Effective at Increasing Older Adults’ Self-Efficacy and Physical Activity Behaviour? A Systematic Review. Annals of Behavioral Medicine, 48(2), pp. 225–234. doi:10.1007/s12160-014-9593-z . McKenzie-McHarg, K., Crockett, M., Olander, E.K. and Ayers, S. (2014). Think pink! A sticker alert system for psychological distress or vulnerability during pregnancy. British Journal of Midwifery, 22(8), pp. 590–595. doi:10.12968/bjom.2014.22.8.590 . Patel, C., Atkinson, L. and Olander, E.K. (2013). An exploration of obese pregnant women's views of being referred by their midwife to a weight management service. Sexual and Reproductive Healthcare, 4(4), pp. 139–140. doi:10.1016/j.srhc.2013.10.006 . Ayers, S. and Olander, E.K. (2013). What are we measuring and why? Using theory to guide perinatal research and measurement. Journal of Reproductive and Infant Psychology, 31(5), pp. 439–448. doi:10.1080/02646838.2013.834041 . Olander, E.K. and Atkinson, L. (2013). Obese women's reasons for not attending a weight management service during pregnancy. Acta Obstet Gynecol Scand, 92(10), pp. 1227–1230. doi:10.1111/aogs.12195 . Atkinson, L., Olander, E.K. and French, D.P. (2013). Why don't many obese pregnant and post-natal women engage with a weight management service? Journal of Reproductive and Infant Psychology, 31(3), pp. 245–256. doi:10.1080/02646838.2013.809518 . Bashir, S., Sparkes, E., Anwar, K. and OLANDER, E.K. (2013). Postpartum women’s views of celebrity weight loss. Women and Birth, 26(2). doi:10.1016/j.wombi.2012.11.005 . OLANDER, E.K., Fletcher, H., Williams, S., Atkinson, L., Turner, A. and French, D.P. (2013). What are the most effective techniques in changing obese individuals' physical activity self-efficacy and behaviour: a systematic review and meta-analysis. International Journal of Behavioral Nutrition and Physical Activity, 10(29). doi:10.1186/1479-5868-10-29 . Atkinson, L., Olander, E.K. and French, D.P. (2013). Why don't many obese pregnant and post-natal women engage with a weight management service? Journal of Reproductive and Infant Psychology. OLANDER, E.K., Atkinson, L., Edmunds, J.K. and French, D.P. (2012). Promoting healthy eating in pregnancy: What kind of support services do women say they want? Primary Health Care Research and Development, 13, pp. 237–243. Eves, F.F., OLANDER, E.K., Webb, O.J. and Chambers, J. (2012). Likening stairs in buildings to climbing a mountain; Self-reports of expected effects on stair climbing and objective measures of effectiveness. Psychology of Sport and Exercise, 13, pp. 170–176. OLANDER, E.K., Atkinson, L., Edmunds, J.K. and French, D.P. (2011). The views of pre- and post-natal women and health professionals regarding gestational weight gain: an exploratory study. Sexual & Reproductive Healthcare, 2, pp. 43–48. OLANDER, E.K. and Eves, F.F. (2011). Elevator availability and its impact on stair use in a workplace. Journal of Environmental Psychology, 31, pp. 200–206. OLANDER, E.K. and Eves, F.F. (2011). Effectiveness and cost of two stair climbing interventions – less is more. American Journal of Health Promotion, 25, pp. 231–236. Eves, F.F. and OLANDER, E.K. (2009). Increasing stair climbing in a train station: The effects of contextual variables and visibility. Journal of Environmental Psychology, 29, pp. 300–303. OLANDER, E.K., Eves, F.F. and Puig-Ribera, A. (2008). Promoting stair climbing: Stair-riser banners are better than posters... sometimes. Preventive Medicine, 46, pp. 308–310. Olander, E.K. (April, 2013). Why do individuals decline weight management services? Findings from evaluations of NHS services targeting obesity in the West Midlands.' Institute of Public health, University of Cambridge. Olander, E.K. (November 2012). Identifying parental barriers and facilitators to engaging in child weight management programmes. Department of Health's National Child Measurement Programme workshop, London. Olander, E.K. & Cornfield, S. (November 2012). Identifying and addressing parental barriers and facilitators to engaging in child weight management programmes. Department of Health's National Child Measurement Programme workshop, Nottingham. Olander, E.K. (September 2012). Just4Mums - weight management support for overweight and obese pregnant women in Coventry. Invited keynote speech at the Infant Mortality Event, organised by NHS Coventry, Coventry Welcome Centre. Olander, E.K. (April, 2012). Which families decline a weight management service targeting their overweight/obese child's weight and why do they do so? Human Nutrition Research Centre seminars, Newcastle University. Olander, E.K., Atkinson, L. & French, D.P. (December 2012). Can't or won't: obese women's reasons for not attending a weight management service during pregnancy. Oral presentation at the UK Society for Behavioural Medicine Annual Scientific Meeting, Manchester, UK. Olander, E.K., Fletcher, H., Williams, S., Atkinson, L., Turner, A. & French, D.P. (September 2012). What are the most effective techniques in changing obese individuals' self-efficacy towards physical activity and their physical activity behaviour: a systematic review and meta-analysis. Oral presentation at the Division of Health Psychology Conference, Liverpool, UK. Olander, E.K., Atkinson, L. & French, D.P. (December 2011). Parental reaction to the National Child Measurement Programme letter and willingness to accept weight management support. Poster presentation at the UKSBM conference, University of Stirling, Scotland. Why do individuals decline weight management services? Findings from evaluations of NHS services targeting obesity in the West Midlands. Cambridge, UK (2013). Description: Institute of Public health, University of Cambridge. Invited presentation. Can't or won't: obese women's reasons for not attending a weight management service during pregnancy. Manchester, UK (2012). Description: Olander, E.K., Atkinson, L. & French, D.P., oral presentation at the UK Society for Behavioural Medicine Annual Scientific Meeting. Identifying parental barriers and facilitators to engaging in child weight management programmes. London (2012). Description: Department of Health's National Child Measurement Programme workshop. Invited presentation. Identifying and addressing parental barriers and facilitators to engaging in child weight management programmes. Nottingham (2012). Description: Olander, E.K. & Cornfield, S., Department of Health's National Child Measurement Programme workshop. Invited presentation. Just4Mums - weight management support for overweight and obese pregnant women in Coventry. Coventry (2012). Description: Invited keynote speech at the Infant Mortality Event, organised by NHS Coventry, Coventry Welcome Centre. What are the most effective techniques in changing obese individuals' self-efficacy towards physical activity and their physical activity behaviour: a systematic review and meta-analysis. Liverpool, UK (2012). Description: Olander, E.K., Fletcher, H., Williams, S., Atkinson, L., Turner, A. & French, D.P., oral presentation at the Division of Health Psychology Conference. Which families decline a weight management service targeting their overweight/obese child's weight and why do they do so? Newcastle, UK (2012). Description: Human Nutrition Research Centre seminars, Newcastle University. Invited presentation. Pre- and post-natal women's and health professionals' views of gestational weight gain. Warwick, UK (2012). Description: West Midlands' Association for the Study of Obesity 'Early Life Management of Obesity' conference, University of Warwick. Invited presentation. Parental reaction to the National Child Measurement Programme letter and willingness to accept weight management support. Stirling, UK (2011). Description: Olander, E.K., Atkinson, L. & French, D.P., poster presentation at the UKSBM conference, University of Stirling.